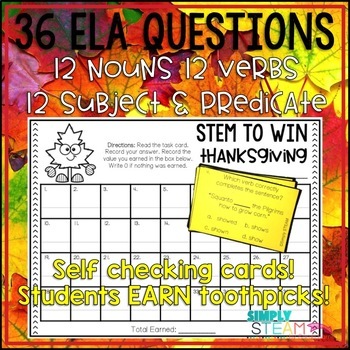 Celebrate Thanksgiving and integrate ELA with this FUN Thanksgiving STEM activity. 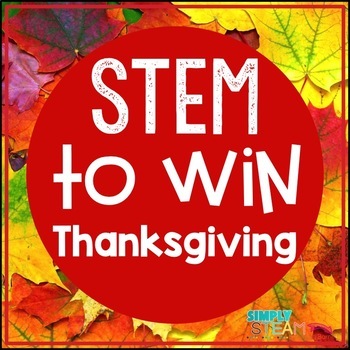 Your students will stay engaged and learn while they play Thanksgiving STEM to win! Never worry about doing another boring grammar & writing lesson. This is awesome! Set the game up with a cup of toothpicks in the center (40 per partners). Place the deck of cards question side up on one side of the cup and the discard pile on the other side. Player 1 selects a card. Reads it. Answers it. Player 1 then checks their answer. If correct, player 1 grabs the amount of toothpicks listed on the card. If incorrect, player 1 discards and it's player 2's turn. Player 2 repeats steps 1-2. 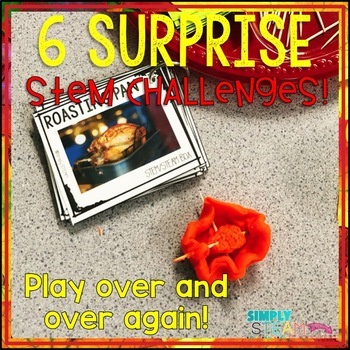 Once the game is over, the teacher (or student) will select a surprise STEM challenge from a bag. They'll engineer a design using ONLY the toothpicks earned. This game is so much fun! Kids love it because they're addicted to surprise challenges! Teachers love it because their kids are learning! 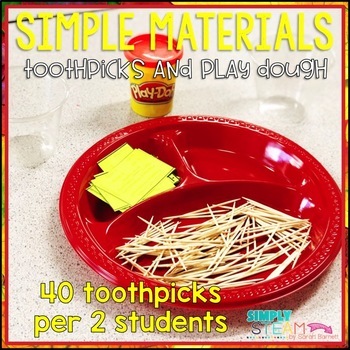 Check out the FREE STEM to Win here! Click the store to learn when new resources are posted. I discount all NEW resources at 50% off for the first 24 hours. Be the first to know!